People frequently ask about the origin of our company name. Architect and designer Eero Saarinen designed the elementary school of our CEO and co-founder, Nick Weaver, and inspired him from an early age. 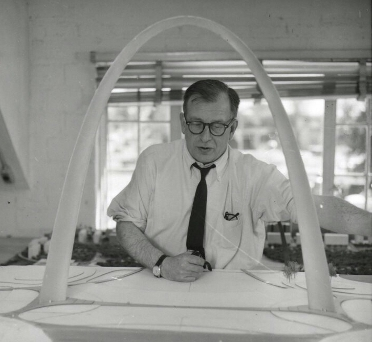 Known most famously for the Gateway Arch, Saarinen’s focus on the importance of both form and function, as well as his signature catenary curve form, influenced the industrial design of eero. From our physical product to our visual identity, we incorporate Saarinen’s innovation in the postmodern era into everything we do. This past weekend marked his 106th birthday. To celebrate, Knoll, the furniture maker who first produced Saarinen’s iconic Tulip Chair, is featuring their favorite Saarinen designs on their Instagram throughout the week. We’re inspired by design and architecture everyday — it’s core to everything we create. What inspires you?